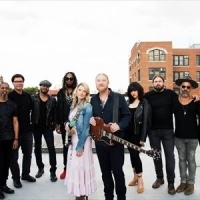 Award-winning American roots band from Jacksonville, fronted by slide guitarist Derek Trucks and wife Susan Tedeschi. Their debut album, Revelator, won a Grammy Award for Best Blues Album. Follow-up album, "Made Up Mind" was released in 2013, plus: "Let Me Get By" (2016), and 2019's: "Signs".